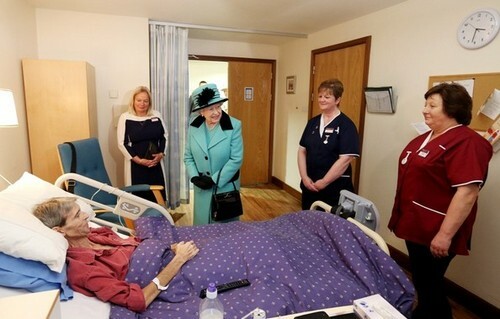 皇后乐队 At Thames Hospicecare. . Wallpaper and background images in the 伊丽莎白二世女王 club tagged: queen elizabeth ii. This 伊丽莎白二世女王 photo might contain 卧室, 睡觉住宿, 室, 睡眠住宿, 房间, 分庭, 卧房, neonate, newborn, newborn infant, newborn baby, 客厅, 起居室, 前室, 前厅, 客厅里, 前面的房间, and 客厅客厅.